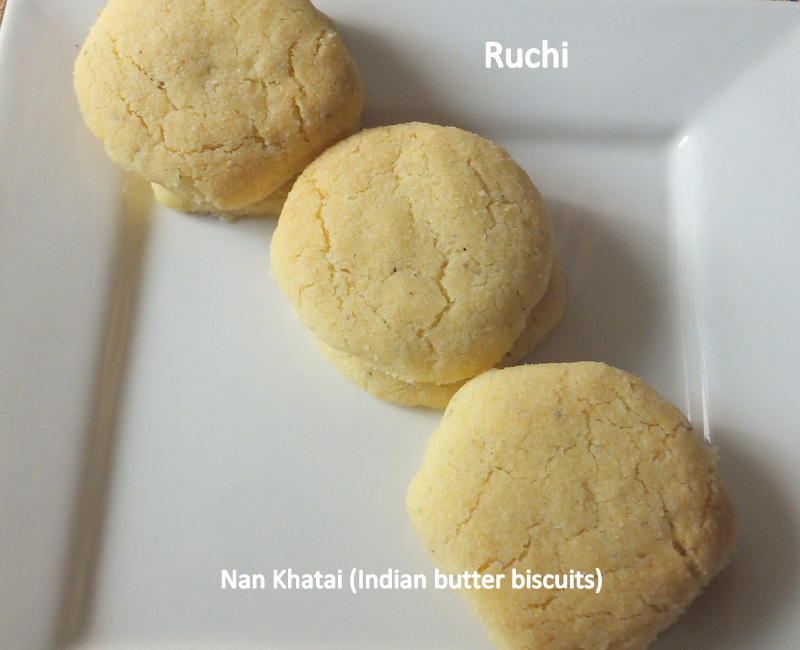 Butter biscuits are always in demand in my family, as these are extremely soft very tasty and would easily melted in mouth. 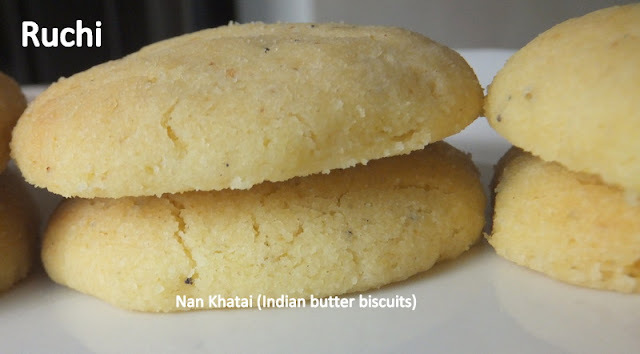 Traditionally this is made with clarified butter or “ghee” These are the best Biscuit/ cookies I have ever tried, which is very simple to make and exceedingly good. It is served with a cup of tea or you can munch in between anytime to feel good. However, I baked these biscuit often but never posted in blog. Yesterday I baked this biscuit for me &my neighbor. 1. In a mixing bowl, combine powdered sugar (little at a time) with the softened butter until mixture is light and creamy. 3. Combine Flour mixture (little at a time) with Butter Mixture to form a soft dough then add cardamom powder and mix well. 4. Wrap dough in plastic wrap and let it rest for 15-20 minutes. 5. Knead dough once again and Make small balls out of the dough, around the size of a small lemon and slightly flatten them between your palms and place them on a greased baking sheet. Maintain some gap between the cookies. 6. Preheat the oven at 180°C. Bake them for about 15 minutes or until u see small cracks on top. Take the tray out of the oven and wait until the cookies cool completely. Store in an air-tight container. Woww my fav biscuits, feel like grabbing anf munching some.